I am a white guy who talks about racism. 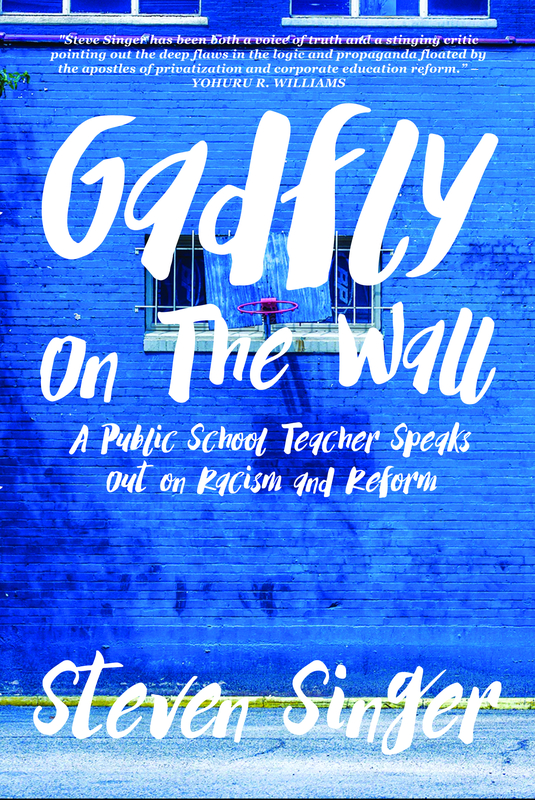 I teach mostly students of color in a western Pennsylvania public school. I write a blog about education and issues of prejudice. And I participate in social justice campaigns to try and redress the inequality all around me. You think you’re so perfect! You’re just suffering from white guilt. You love black people more than your own people. I am just like every other white person out there. But I have recognized certain facts about my world and I’m trying to do something about them. America is built on the genocide of over 110 million indigenous Americans and the enslavement of 30 million Africans. The idea of concentration camps didn’t originate with the Nazis. Hitler got the idea from U.S. treatment of Native Americans. Racism didn’t end with the Civil Rights Movement. It just changed shape and was hidden in the way we practiced health care, education, and policing all the way to mass incarceration. And it’s getting worse. Hate crimes have jumped from about 70 incidents a year in the 1990s to more than 300 a year since 2001. And after Trump was elected, 900 bias-related incidents were reported against minorities within the first 10 days. It does not make me special that I am trying to do what little I can about that. It just makes me human. I am no better than anyone else. But I am trying to do the right thing. When I first became a teacher, I had the chance to go to the rich white schools and work with the wealthy white kids. I hated it. I found that I had a real affinity for the struggling students, the poor and minorities. Why? Probably because I have more in common with them than the kids who drove to school in better cars than me, wore more expensive clothes and partied with designer drugs. Does that make me better than a teacher who stayed in the suburbs? No. But hopefully it gives me the chance to make a greater difference against white supremacy. When I saw how unjust our school system is, I could have gotten out. Law school was definitely an option. So was becoming a technical writer or a job as a pharmaceutical ad rep. But I dug in and spoke out. I could have left, but who would be there to speak for my students? Who would speak truth to power about high stakes standardized tests, unaccountable charter and voucher schools, inequitable funding and the boondoggle of Common Core Standards? So I got active in my union, spoke at rallies, lead marches on incorrigible law-makers and started a blog. Does that make me better than teachers who kept plugging away at their jobs but didn’t rock the boat? No way. But hopefully I have a better chance at helping change things for the better. When I saw that politicians in my state wanted to stop the parents of my students from voting by trampling their civil rights with a voter ID law, I started a campaign asking the officials that were tasked with enacting the law to ignore it. It was a hard battle that made me do things I was not at all comfortable doing. You try asking a public servant on camera to break the law and go to jail for what he knew was right. Strangely enough, it worked. Along with several other campaigns throughout the state, we got the voter ID law declared unconstitutional by the state Supreme Court. Some people look at that and other accomplishments and think I’m conceited. They say I’m a white savior hogging the spotlight for myself and keeping the very people I’m trying to help in my shadow. That’s not my intention at all. I wouldn’t be anywhere without the help and support of people of color. Everything I’ve done in this fight has been with their help and encouragement. Does that mean I’m impervious to making a racist comment? Does it mean I’ve never participated in a microaggression? Does it mean I see every racist impact of my society and my place in it? I screw up every day. But that’s the point. You don’t have to be perfect. You just have to try. One of the books that has helped guide me on this journey is Dismantling Racism: A Workbook for Social Change Groups, by Kenneth Jones and Tema Okun. The chapter on “White Supremacy Culture” should be required reading for every activist organization or budding civil rights warrior. And the number one characteristic is Perfectionism. These are things we should keep in mind as we try to move forward in this fight. Certainly white people can be resistant to criticism and see any and every comment or appraisal as personal or demeaning – especially if that remark is made by a person of color. Frankly, white people need to get a thicker skin about it. We need to realize that this impulse to personalize analysis is often a psychological attempt to avoid looking at oneself and what unconscious aspects of the social order one has internalized. However, those offering criticism must realize that context is everything. We must create an environment where such remarks are constructive. Otherwise, they’ll do more harm than good. But if we want to be anti-racists, that’s not the job we signed up to do.